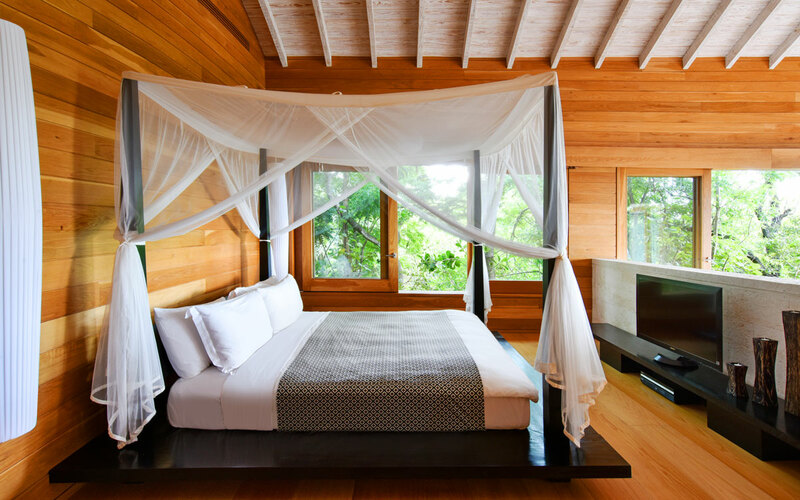 Reserve your very own retreat on one of the Caribbean’s most exclusive private islands at Teak House. 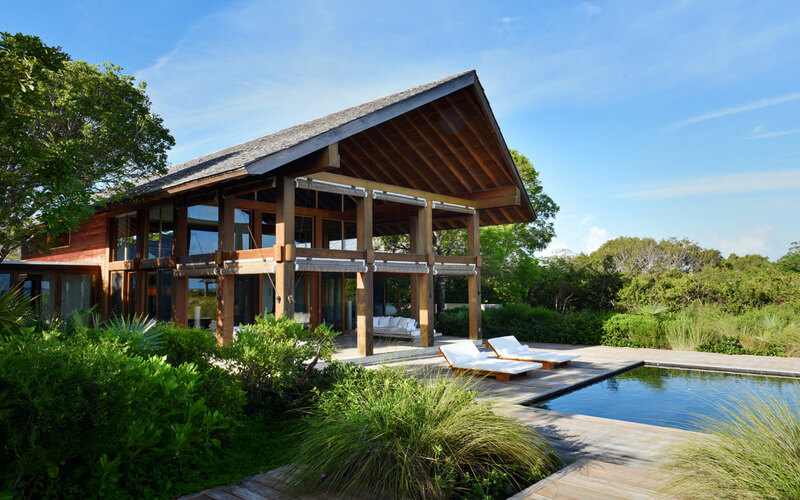 This beautiful three-bedroom vacation rental sits on nearly two acres of oceanfront land that are part of the 1,000 acres of lush land that make up COMO Parrot Cay in the Turks and Caicos. 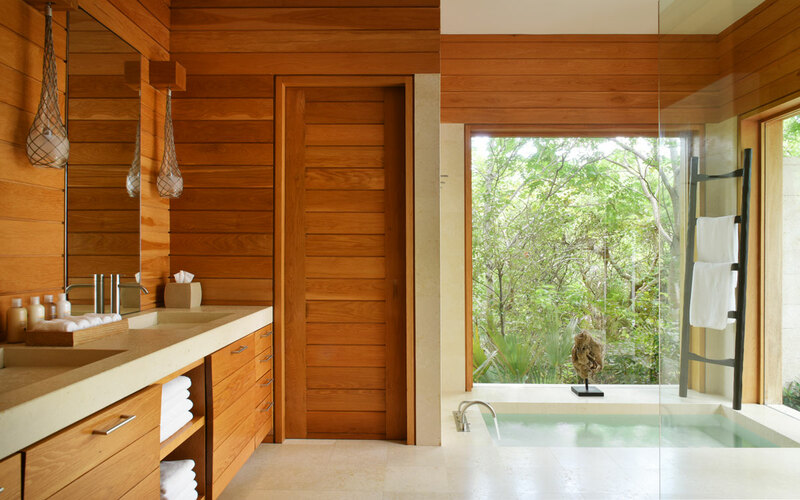 Revel in having your own space while enjoying the five-star amenities at this luxury resort. 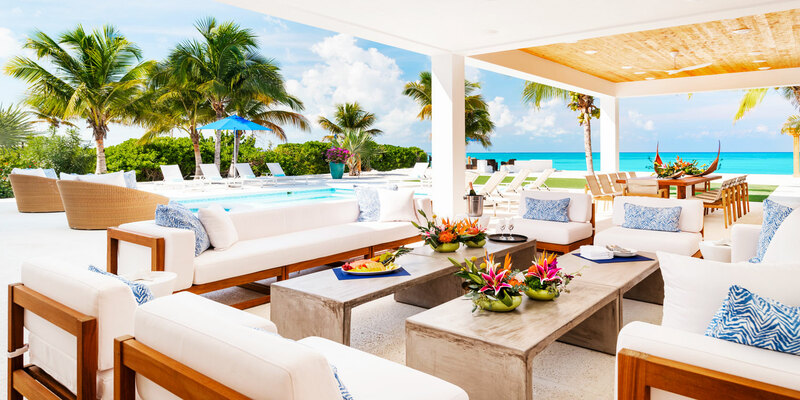 Guests of Teak House are welcome to use the shared watersports equipment, wellness and fitness centers, tennis courts and more at COMO Parrot Cay. 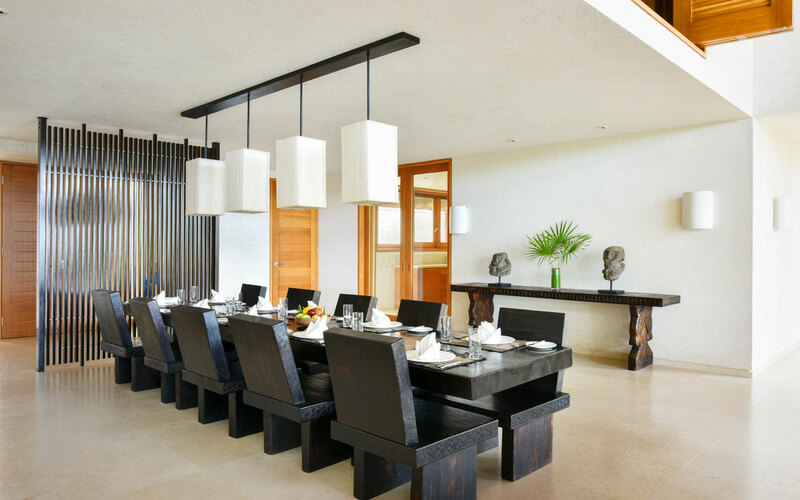 Your holiday at the resort includes the services of a villa manager and butler, as well as daily breakfast, afternoon tea and a communal yoga or Pilates session. 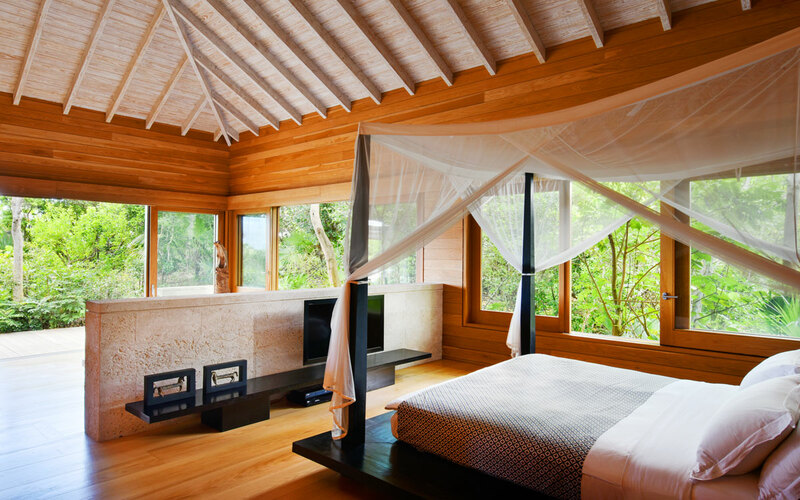 If you’d prefer to make a complete tropical getaway, spend your stay lounging in the cabana by the villa’s heated lava-stone pool, sunbathing on the beach just steps from the pool deck or lingering a..
Reserve your very own retreat on one of the Caribbean’s most exclusive private islands at Teak House. 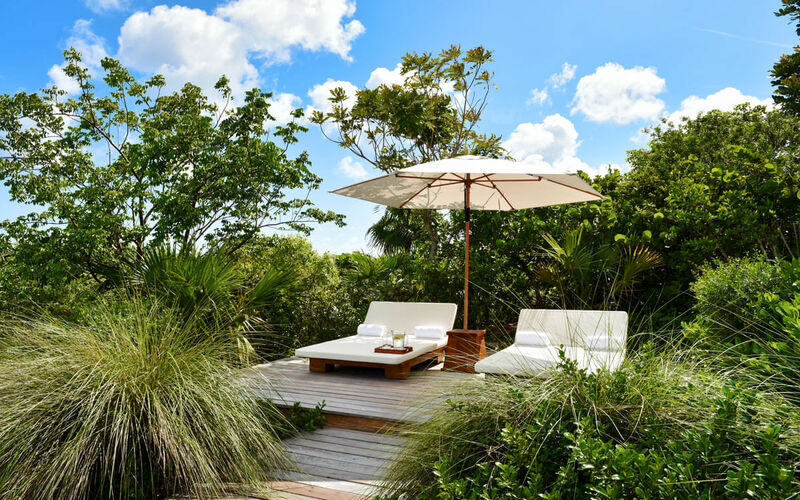 This beautiful three-bedroom vacation rental sits on nearly two acres of oceanfront land that are part of the 1,000 acres of lush land that make up COMO Parrot Cay in the Turks and Caicos. 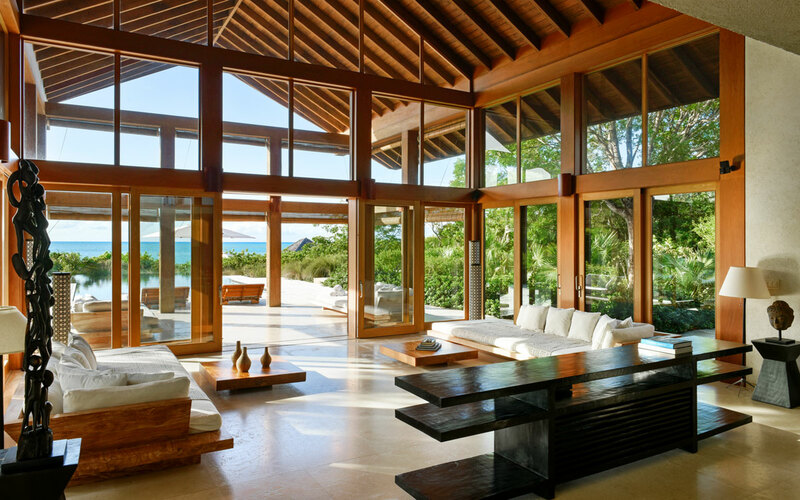 Revel in having your own space while enjoying the five-star amenities at this luxury resort. 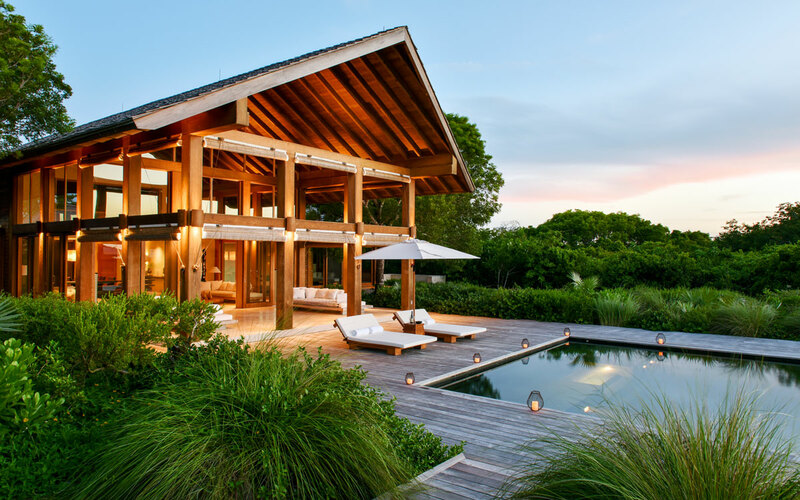 Guests of Teak House are welcome to use the shared watersports equipment, wellness and fitness centers, tennis courts and more at COMO Parrot Cay. 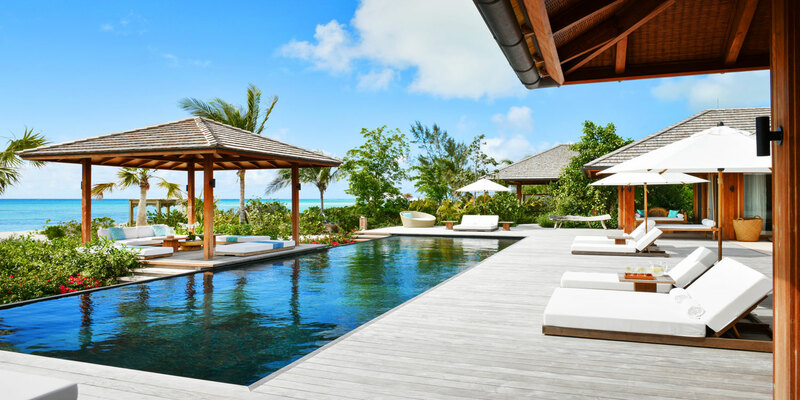 Your holiday at the resort includes the services of a villa manager and butler, as well as daily breakfast, afternoon tea and a communal yoga or Pilates session. 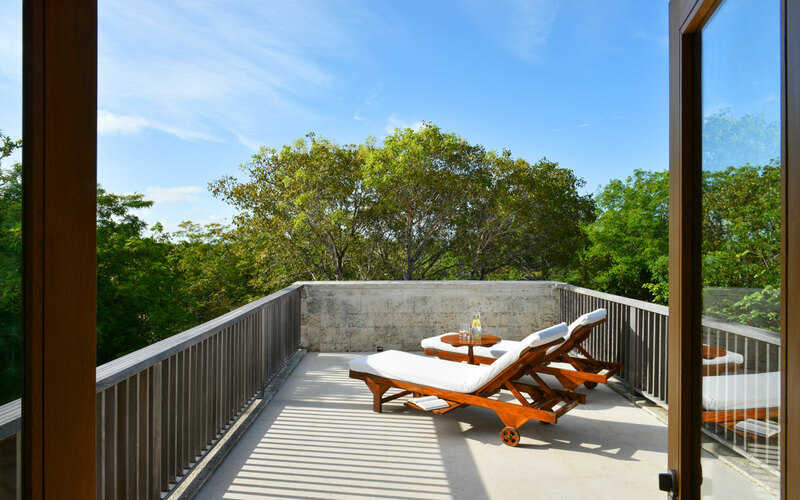 If you’d prefer to make a complete tropical getaway, spend your stay lounging in the cabana by the villa’s heated lava-stone pool, sunbathing on the beach just steps from the pool deck or lingering around the al-fresco dining table. 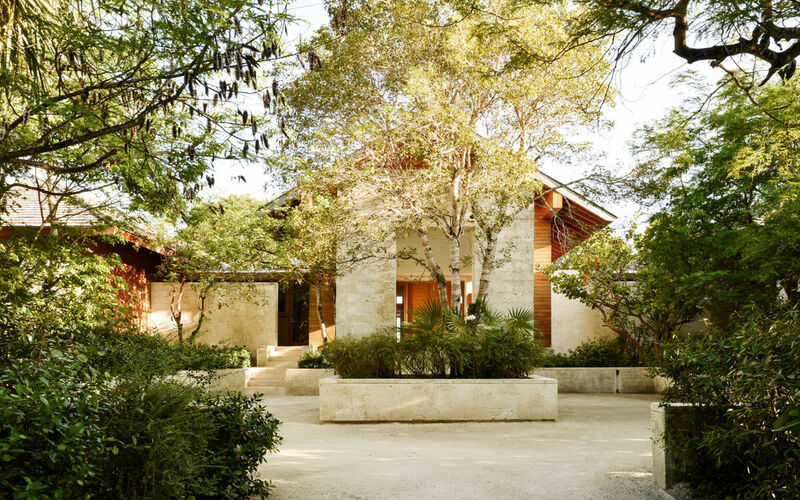 Teak House has more than 5,000 square feet of living space, all filled with natural light, contemporary furnishings and a mix of organic textures. 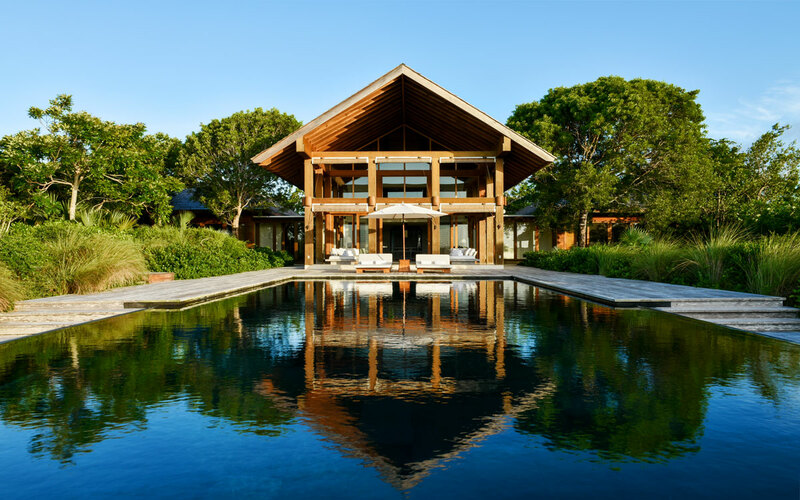 Floor-to-ceiling windows in the double-height great room afford stunning views over the pool to the ocean, and low-slung sofas and dining chairs offer sculptural seating. 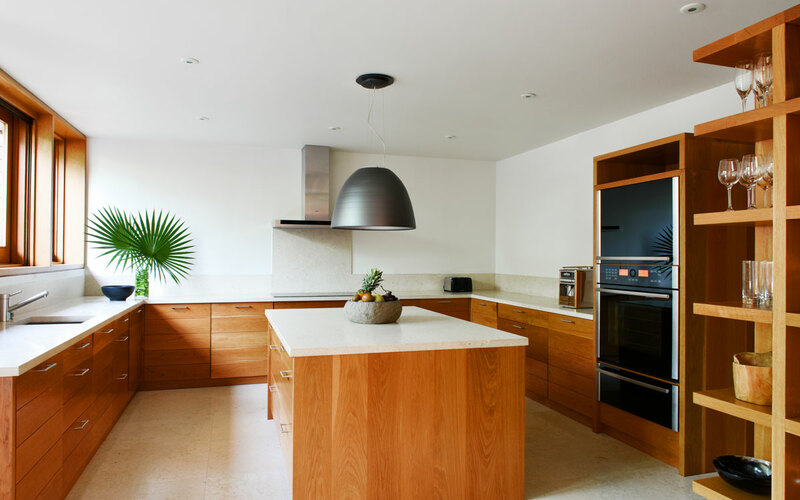 Though guests can use the resort’s restaurants and room service, the villa also has its own fully equipped kitchen. 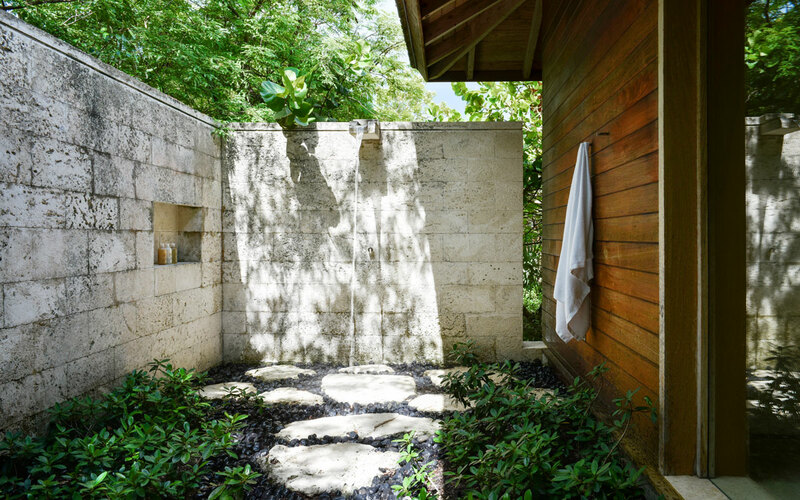 Each of the villa’s three bedrooms has an en-suite bathroom. There are two bedrooms on either side of the living room with king beds, steam rooms, balconies and direct access to the pool deck, and one bedroom on the second floor with two queen beds. 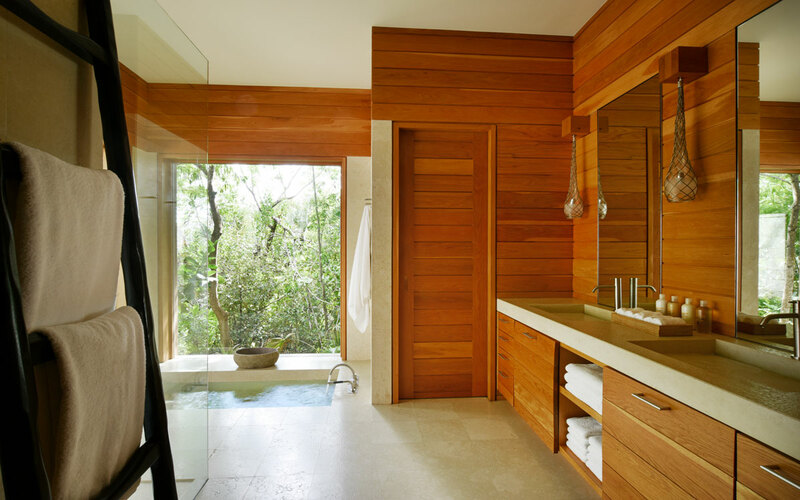 An office with an en-suite bathroom can be used by larger parties requiring extra accommodations. 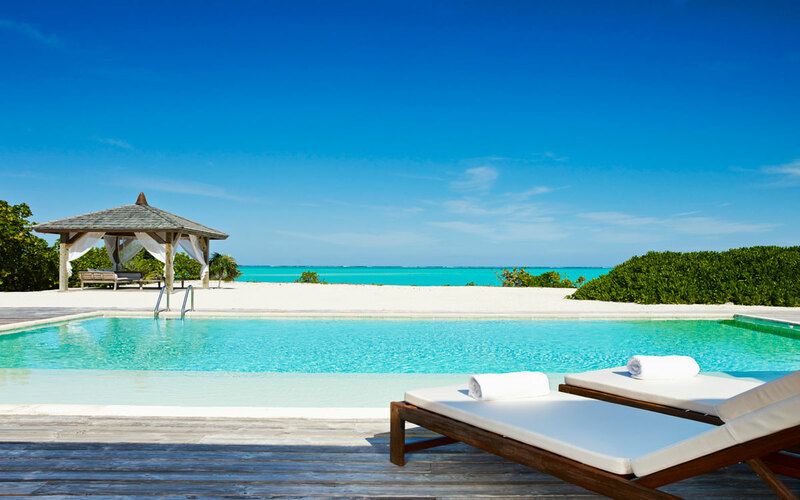 Gorgeous scenery, attentive service, a range of activities and an emphasis on wellness make COMO Parrot Cay an ideal destination for a family vacation in the Caribbean, warm-weather escape with friends or an indulgent honeymoon. The villa itself is a few minutes by golf cart from the main resort. 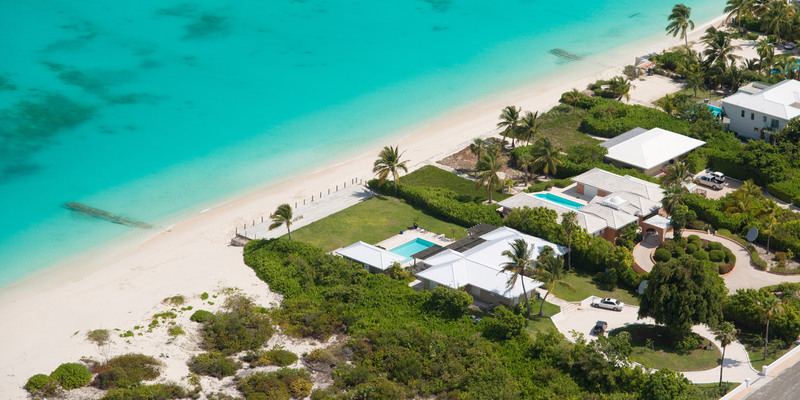 Parrot Cay itself is a 10-minute boat ride from North Caicos and a 45-minute boat ride from Providenciales.